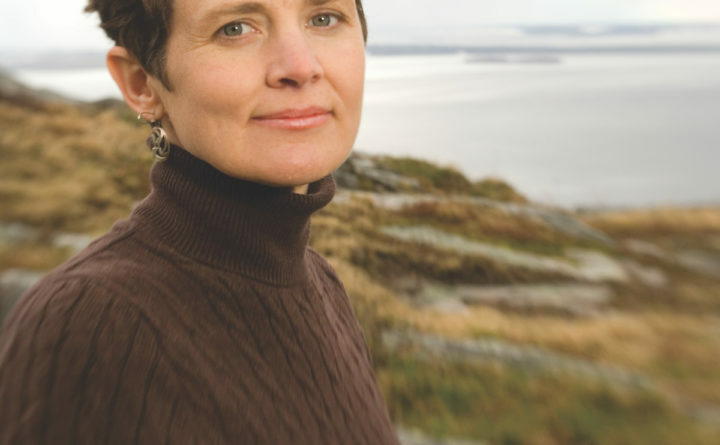 PORTLAND — Hospice of Southern Maine announced today that Kate Braestrup — national bestselling author and chaplain with the Maine Warden Service — will be the eighth annual Thresholds Conference keynote speaker for Making Space for Grief in Our Lives 9 a.m.-1 p.m. Wednesday, May 2, at Hannaford Hall, USM Portland Campus. Join us at Thresholds for real conversations about grief, professional advice on coping, and tips for helping friends, co-workers, and family members experiencing a loss. All are encouraged to attend – the general public, healthcare professionals, and business and faith leaders. The annual Anne L. Hunter Memorial Thresholds Conference brings the community together to learn about end-of-life matters. This year’s focus is on grief. Woven in and out of every life, grief is the faithful companion we don’t want when someone we love dies. It inserts itself in our relationships, it follows us into the workplace, and it changes us forever in ways we could never have imagined. The other side of grief is its potential to be our greatest teacher, the source of our strength, and the catalyst for growth. In addition to Ms. Braestrup’s keynote presentation, Daryl Cady (CEO, Hospice of Southern Maine) and Carol Schoneberg (Bereavement Services Manager, Hospice of Southern Maine) will discuss grief in the workplace, supporting employees, and bereavement leave policies. The Conference will conclude with a “fireside chat” with community members who have experienced a loss, from loss of a parent or mate, to loss as a result of suicide and overdose. As part of the Conference, HSM will host three post-conference forums in Kennebunk, Scarborough, and York. These forums are free and open to the public, and include a short video of Conference highlights, a light meal, and an information session on grief. Kate Braestrup’s first husband, Maine State Trooper Drew Griffith, was killed in the line of duty, leaving her a widow with four young children. As it happened, Drew had spent the last year of his life planning to become a Unitarian Universalist minister. This plan was naturally discussed with his wife, and inspired Kate to choose ministry as her own vocation after his death. Since 2001, she has served as chaplain to the Maine Warden Service, joining the wardens as they search for those who have lost their way, and offering comfort to those who wait for loved ones to be rescued, or their bodies to be recovered. Often heard on NPR, Kate is a national speaker and bestselling author of several books, including Here If You Need Me. Meet Kate at the book signing during the Conference. The Anne L. Hunter Memorial Thresholds Conference is an annual educational event, designed to provide the public, clinicians, social workers and caregivers the knowledge and tools to understand hospice care and end of life. Now in its eighth year, thanks to a generous endowment from the estate of the Reverend Anne L. Hunter, MD, Thresholds brings the Southern Maine community together to talk about end of life. Hospice of Southern Maine’s mission is to provide compassion, care, and comfort through end of life. Formed through a collaborative effort among York and Cumberland County leaders and health care providers, Hospice of Southern Maine (HSM) organized in 2001 and began providing direct patient services in 2004. Today, HSM cares for more than 1,600 patients annually, at the patient’s home, current care facility, and Gosnell Memorial Hospice House, an 18-bed inpatient facility in Scarborough. HSM admits patients with a variety of diagnoses, including Alzheimer’s; heart, lung, and kidney diseases; stroke; Lou Gehrig’s disease; and cancer. Care is patient-centered with family support, and provided by a comprehensive interdisciplinary team of physicians, nurses, social workers, aides, chaplains, grief counselors, and volunteers. Hospice of Southern Maine is a non-profit 501(c)3, Medicare certified, state licensed agency, and the largest provider of hospice services in Southern Maine. To learn more, visit www.hospiceofsouthernmaine.org.